Here we have a first shot of the Ewok Attack Glider. The one pictured on the left is the protoype and is fairly far into the production process. It does have copyright information but still exhibits subtle differences from the final production version pictured to the right of it. Some of the differences include a lighter colored plactic, a different rope for the boulders, and much smaller holes in the booulders. Here is a nice close-up of the copyright informtion. You'll notice the first shot has much less information. It still has the LFL copyrights but the place of origin hasn't been tooled yet. Though I've never seen one like this my best guess would be that tooling for each place of origin would happen later in each country when production was ready to go. 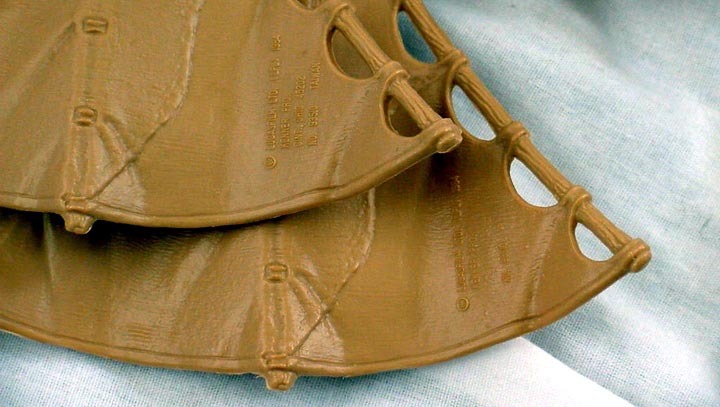 If that is the case then this is the latest first shot made before the molds were ready to go into production. 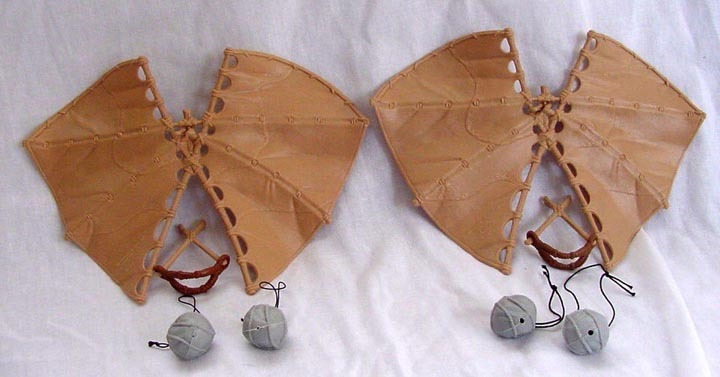 Finally, we have a shot of the series of Ewok Combat Glider pieces that Zac has assembled. These pieces include examples of several stages in the process used to create the vehicle. 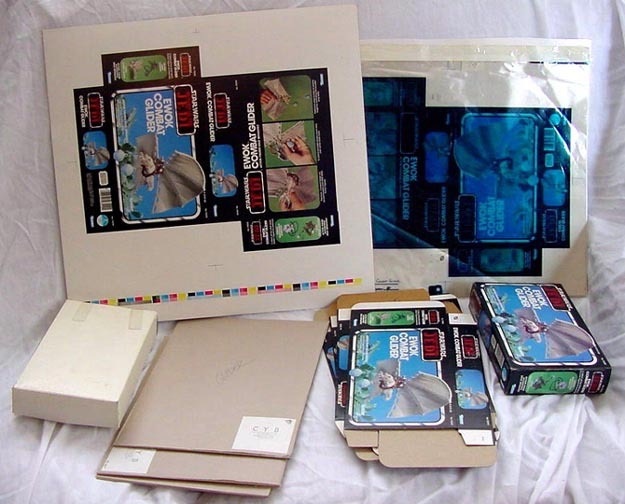 Shown are some of the original pieces of photoart for the back of the box, a color key, a proof sheet, various box flat samples and proofs, an Engineering Pilot, a production boxed glider, and included in the series, but not pictured, is a first shot.